Today, creating cartoons is not a tough task that only professionals can handle. Literally, anyone can materialise their creations with a number of Desktop Movie Maker tools, ideal for DIY Cartoon Making. Here are 8 top computer animation tools that you can use on your Windows or Mac desktops without the requirement of additional plug-ins or equipments, and cut down 90% or even more of total project cost, than hiring an animator, or hiring an animation studio. This one is the Facebook of animation. 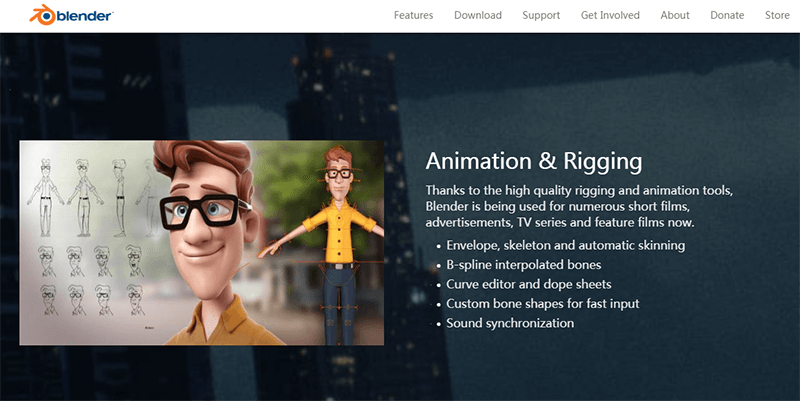 This incredible open source 3D animation video maker, covers the entire pipeline of modelling, rigging, animation, video editing and much more. With the upcoming 2.8 Code Quest, featuring physically based rendering, along with minimum OpenGL version to 3.3, and a host of new features to watch out for. 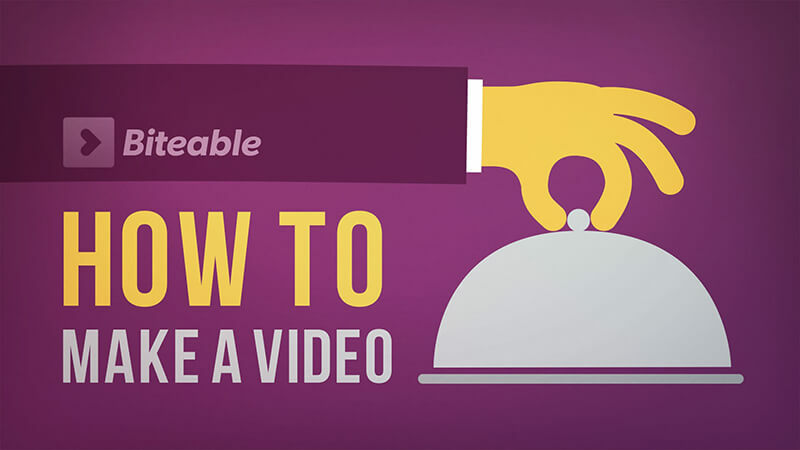 Animiz specialises in the idea of self-help cartoon video making, with simplistic templates, and a compact workflow, that is easy to understand. 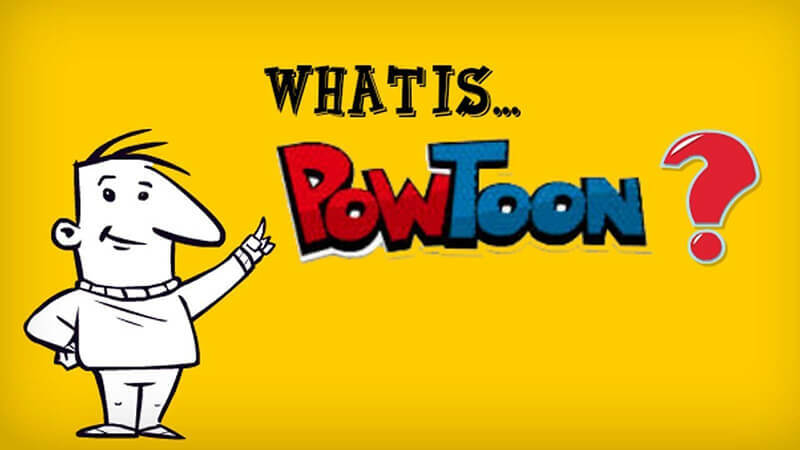 Much like powtoon, this also features 2D animation, on plain graphics, with key features of video editing, sound elements and visual effects. You can have the basic plan for free, while the upgraded versions are priced moderately. This is amongst the most widely used online movie makers that are available for free- the basic plan that is. It comes with 2D graphics and allows a web based interface. 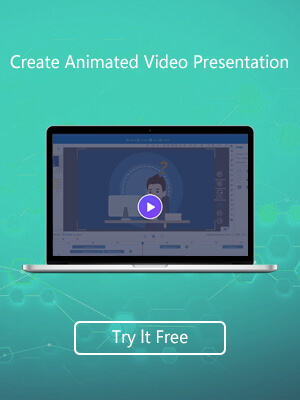 Create your video by putting together the templates, built in voice elements, cartoon characters, with customisation tools, special effects and transitions. It’s simple, with step by step tutorials available at the site. you may upload your video on YouTube for free. They paid package gets advantages like HD quality and download option. GoAnimate promises you can make a cartoon video on your own computer, in as less as 5 minutes. Ironic, but you can actually do that. Signing up to the website is all you need to do. The drag and drop custom gives you the access to “unlimited everything”, including templates, scenes, character designs. You can lip sync to make it talk, and music too. Moreover there in an in-built community, wherein you may get followers, and even share your clips too. However, this is not free, the prices start from about $39 a month, and upwards. Animasher is a decent web based cartoon video maker, that makes the entire job so simple that it’s fun. You can just drag and drop the characters, humans, animals and objects, and click the “record” button. Your video will instantly be played back. However, it’s not magic since “default” stuff is not always the ideal thing you want. So you can mix and match multiple scenes and characters to create your movie. The Xtranormal DIY cartoon maker software got a reprieve with the new proprietor, Nawmal Ltd. This is still a web based suit, that is created specially for non-professionals or pros, and is made for those that are not so much conversant with the technical jargon. The suit is separated for Education purpose or business and comes with all the essential features you need like walking characters, in app voice recording and lip sync, customised camera positioning and moves and much more. 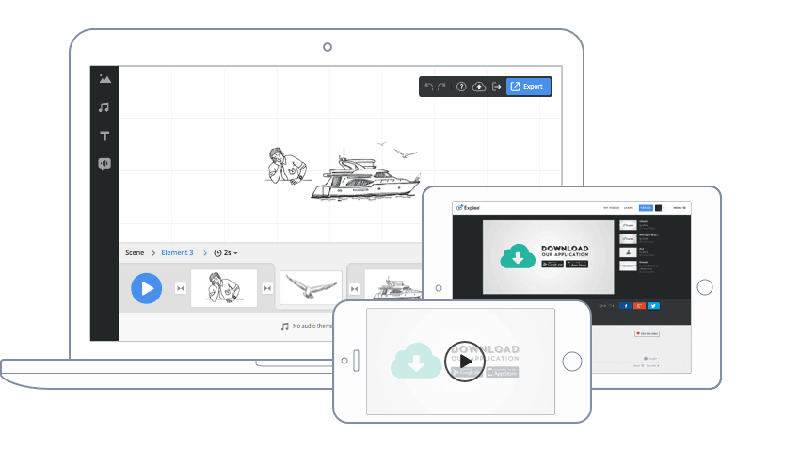 An DIY cartoon maker based on cloud. It offers a cross platform usability, that’s not only fit for PCs, but also laptops, tabs and smartphones. 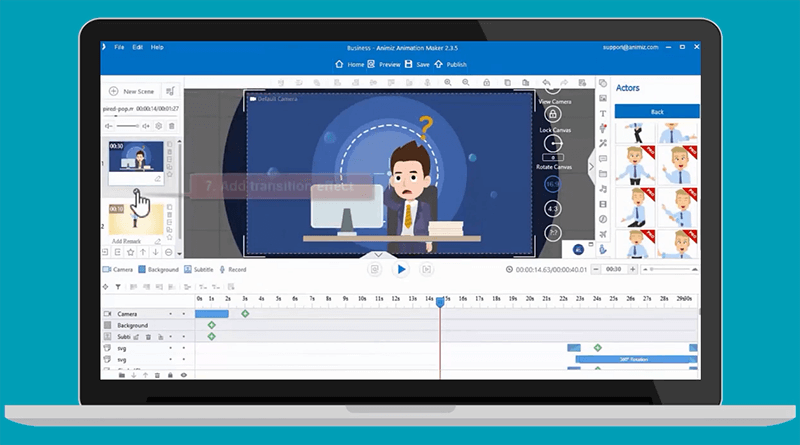 It comes with a powerful package of whiteboard animation transitions, audio editor, text-to-speech system and a lot more features for creating memorable movies. 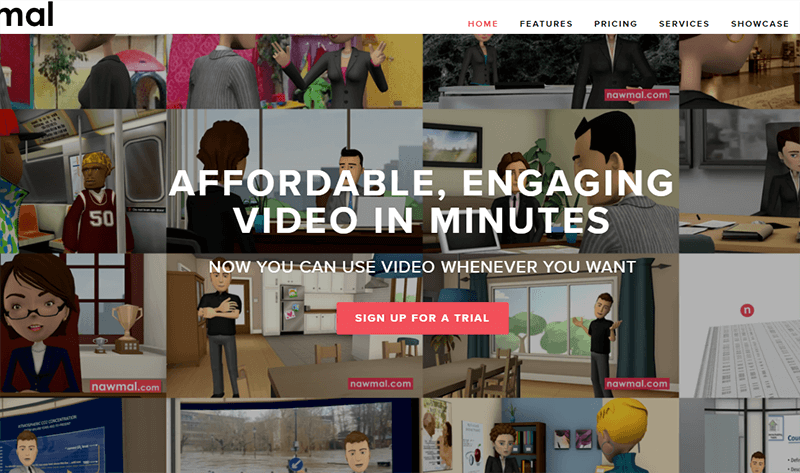 Featured as the simplest video maker in the world, this is offered with a free of cost plan. With hundreds of pre-made video templates, characters and scenes, or you can import your own files, background music, video editorial and sharing. In 3 steps!